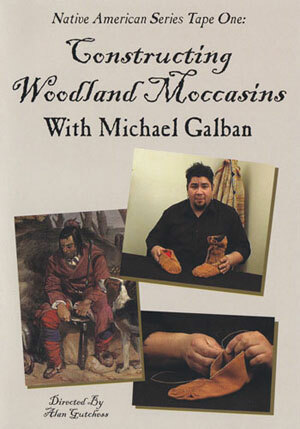 In this production, Native American historian and artisan Michael Galban, (Washoe/Paiute) teaches the basic techniques to make both center seam and wide vamp pucker toe Woodland Indian style moccasins. From pattern making to stitching, moccasin making is explained and shown in detail. 70 minutes long. Available in DVD format.